The dimension measurements in your drawing use a specific unit, whether millimeters, inches, or something else. But it’s common to need to show a second unit — perhaps a metric measurement if you’re using inches, or vice versa. Choose the unit you want from the Unit Format drop-down list. Notice the default 25.4 in the Multiplier for All Units text box. That’s because I have a United States version of AutoCAD and there are 25.4 millimeters in an inch. Of course, if that’s not what you want, change the multiplier value. There are text boxes to add a prefix or suffix. These are useful if the unit won’t be obvious. For example, if you main units are inches, you might want to add mm after your alternate units of milliemeters. 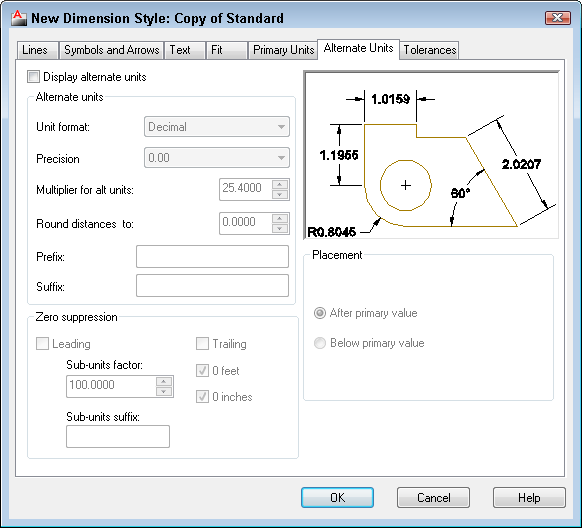 The Zero Suppression section of the dialog box allows you to keep certain standards, such as not including 0 inches before (leading) or after (trailing) a measurement. Finally, on the right, specify if you want the alternate to appear after or below the primary measurement. The settings you specify become part of the dimension style you are configuring. Do you use this feature? What settings do you use? The default alternate unit multiplier for alt units in your dimension style is dependent upon the base units of your template. If you are working on a METRIC template, when you open the alternate units tab you will see that the default multiplier is .03937, and as previously mentioned if you are working on an IMPERIAL template, then that default value will be 25.4. I think that a fair number of people are reasonably oblivious to whether or not they are working on Imperial or Metric templates. One should always determine what dimension system is being worked in, before choosing an appropriate template for a new drawing. It is also a good idea to go into your OPTIONS and set your personal preference for the default QNEW template. 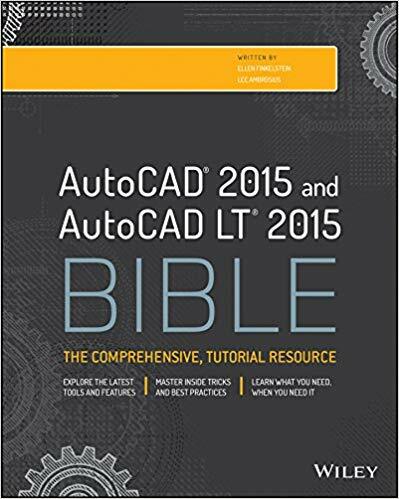 I’m using AutoCAD LT 2012. Sometimes I need alternate units ‘below primary value’ but I have a big gap vertically between the primary and the alternate. Is there a setting to adjust this? Concerning my post of Jan. 31 2014 about alternate units: strange thing happened, when I click on a grip to move the dim – the big gap goes away! I thought it was a setting but more like a glitch. 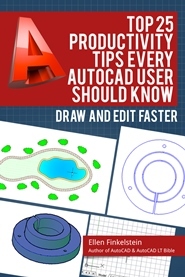 Hi, I am using Auto CAD 2011. I want to remove primary units and retain secondary units. Please help me over this.